We seem to love the dramatic when dealing with a lying cheating husband even if we hurt in the process. Our best efforts are deployed to catch the cheater or get him to confess. But this is hardly comforting. Nor does it heal the pain of finding out that much gory details. Yes, you may prove his lying and cheating, but what good does it really do in the end? It may actually lead to acrimony, accusations, fights...more fights and bang – break up. If you survive all those, the scars never heal and the lying cheating husband gets wiser for next time. Vicious circle! Lying and liars have their fingers and hands in every broken marriage you can think of. When you lie about something (it doesn't have to be on extramarital affair) to your spouse, you set the stage for follow-up lies – and a shock – down the line. Whether you survive the shock, or it takes you and your marriage down, is arguable. The lie that does the damage could be planted anytime during your courtship or later; it could be anything worth knowing by your spouse – motives and feelings, past relationships, family, personality, job, money, investments and so on. The cheating husband lies when under pressure of discovery and / or he wants to continue his affair and keep his marriage at the same time. Statistics has revealed that many more men would cheat on their wives if they could lie and get away with it. 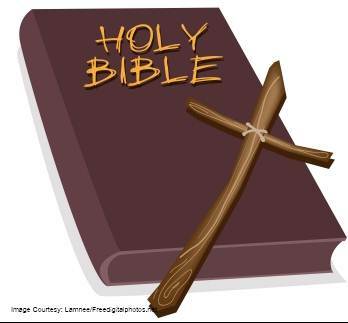 The finest, most convenient, long lasting way I know is God's way – by prayer. The power that will deliver a lying, cheating husband is the same power that will take away the lying tongue from him. There is a foul spirit at work within. So, if you suspect that your husband is cheating on you and lying about it, deal with the lies first. Even if he confesses, still deal with the spirit behind the lies – in prayer. Lying spirits have a way of convincing (nay, confusing) people of their exit when they are sitting tight and planning more damage. Lies are not gifts; if they are, not from God. Mostly, they are learned and practiced – sustained by a dead conscience. So the prayer points here are sufficient to deal with the spirit, the influence and the lying lips. 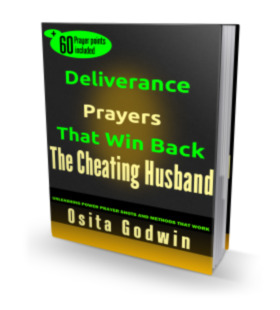 The prayer of a wife or mother made for her lying cheating husband or son is very potent. This prayer should be said without ceasing until obvious result is seen. If you have something to say on the power of prayer to destroy spiritual stronghold of lying and cheating, share it. I'm sure there's a lot of people out there who will learn one or two things from your story or suggestion. Send Me Prayers To Save My Marriage. What Do I Pray For My Cheating Husband? My Husband Left To Live With His Mistress. My Husband Has A Child By The Other Woman But Denies. My Husband Can't Stop Lying!. My Husband Is A Church Leader But Cheats On Me. My Husband Is Always Lying. I Need Help To Get Back My Husband. Will My Husband Truly Change?